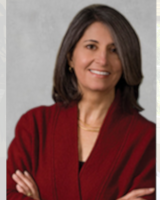 For over 30 years, Marcia Mavrides, lead attorney at Mavrides Law, has been a recognized leader in the divorce and family law community throughout Boston and Massachusetts. Attorney Mavrides is listed in the top 5% of lawyers, and has an AV preeminent rating, has been designated among the Top Women Lawyers in Family Law several years in a row, and has been consistently named to Massachusetts and New England Superlawyers. For more than 30 years, Mavrides Law firm has helped people in the Boston area resolve family law problems. The firm’s success is built on its knowledge of the law, close relationships with clients and ability to provide effective solutions to complex legal challenges. We have the most experienced Boston divorce lawyers and family lawyers to achieve the best resolution that provides clarity and predictability for clients long after their legal matters have concluded. Mavrides Law firm focuses on all aspects of family law. We are Boston divorce lawyers and handle various areas of law involving divorce, paternity, child support, alimony, post-divorce modifications and enforcement of judgments. Because problems in these areas affect so many aspects of a person’s life, our Boston divorce lawyers seek comprehensive solutions that also resolve issues involving real estate, retirement, financial planning, taxes, health insurance and other matters.